I have read many articles online about the benefits of cleaning your colon so I thought I would jump on the cleaning train. I know you are wondering, just like I was, how this can be possible just by cleaning your colon. Well, your colon itself weighs four pounds, it has the potential to hold around eight meals worth of food! So image 2-3 days worth of meals just hanging around in your gut. That's a lot of food! A lot of weight! A lot of potent toxins hanging around! Now image years and years of build up stuck. If you are not in the habit of eating fiber rich foods, healthy foods and lots of water, your digestion system is slow and not eliminating like it should. Food waste does not evacuate like its supposed to, it gets clogged up. That's were constipation comes in...IBS can also be caused by build up. 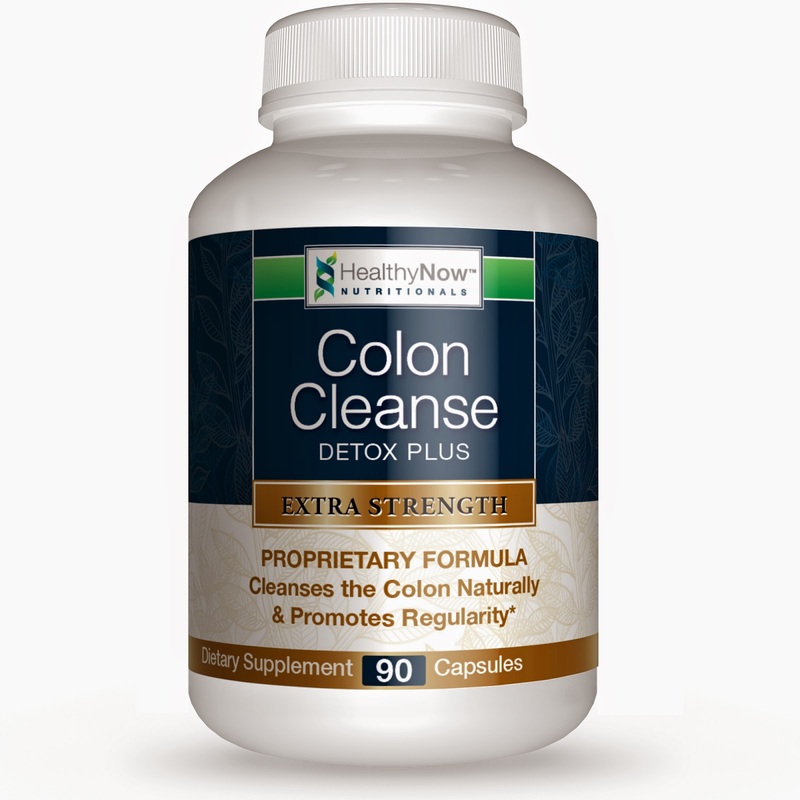 To effectively cleanse your colon, you need an all natural product like HealthyNow colon cleanse that is packed full of herbs that will slowly stimulate your colon and loosen the waste. My review of this product has been a challenge. The recommend way to take this product is 1-2 capsules in the morning and 1-2 before bed. I personally chose to take 1 in the morning only. I was not sure how this would effect me and did not want to spend hour upon hour on the porcelain throne. This was probably a wise move! Hahaha! I was warned that it may take 2-3 days to start working, a "prime the pump" may be in order. My first day I went a handful of times; the second day was better; the third day I woke up at 2am with horrible cramps and the need for a box of baby wipes! I would recommend this product, but make sure you start out slow and eat healthy while taking it. Drink plenty of water and be active. If you do not follow all these tips, you may prolong the process. Do not take any product without consulting your regular physician if you have any health problems. Always take the product as instructed. *Disclaimer- Wonderfully Messy Mom is not a doctor, I do not claim any health benefits. Please consult your personal doctor before trying any product! !